If you have been using Facebook you know it has its own problems. One of such problems is engagement bait. Now you may not be familiar with this term but you are well aware of what it entails. 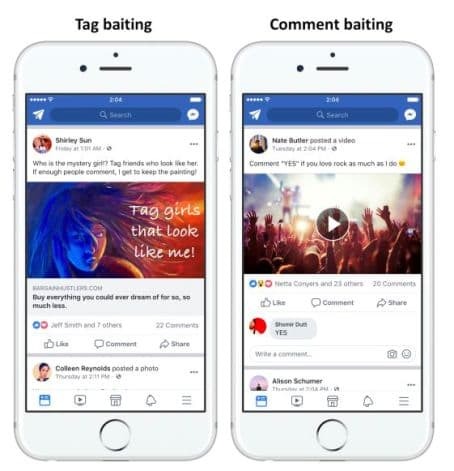 Engagement bait posts are those posts that ask you for likes, shares, tags and comments. You have all seen those posts especially from Facebook pages where they ask you to tag someone who will do something for you, like if you are this or that, polls with reactions and of course the good old share this with everyone for prosperity which evolved from email chains. On Facebook you see tons of posts like this and it is not an accident. These posts take advantage of Facebook’s News Feed algorithm which pushes posts with higher engagement (likes, shares and comments) to the top of your news feed. This menace will be encumbered with Facebook new decision. From this week, Facebook will demote posts from pages and people which use engagement bait. Facebook started on this mission of cleaning up spam posts from your News Feed with the help its teams. Its teams first identified tons of posts which were using engagement bait and then categorised them into groups and later fed this information to a machine learning model that automatically manages to identify engagement bait and demote them. Now Facebook isn’t implementing this feature at large. It will be rolling out this algorithm by the next few weeks. This is to give some time to pages who engage in engagement bait activity to cut down on such posts. Facebook has specifically posted a section in the press release that is meant for Pages. 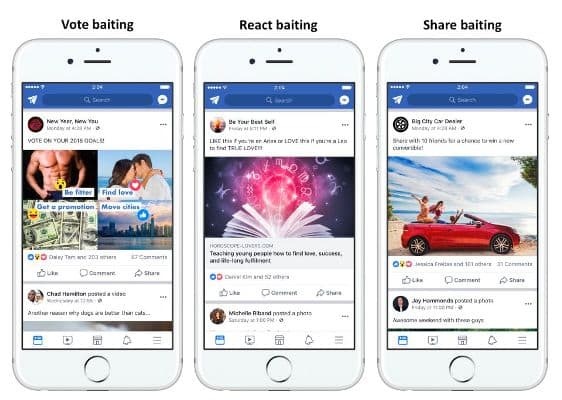 They have said that pages which use engagement bait will see that the reach of such pages will reduce and pages which repeatedly make engagement bait posts will see reach dip even further. Facebook has also released guidelines to avoid engagement bait for Pages. Facebook also mentions that helpful posts such as asking for help or recommendations, circulating missing persons report or raising money for charity will not be impacted by this move.